Seu Jorge has maintained a prolific and celebrated career since first issuing his Portuguese-language David Bowie covers for Wes Anderson 2004 dramedy The Life Aquatic with Steve Zissou, but the Brazilian musician will put his focus back on the late "Starman" for an upcoming North American tour. A newly revealed tour schedule confirms that Jorge makes his way back to North America this November to perform his jazz-, bossa nova- and samba-inspired takes on Bowie cuts like "Changes," "Rebel Rebel" and "Life on Mars?" The run of dates includes Canadian stops in Montreal, Toronto and Vancouver. Jorge had initially recorded five Bowie songs for The Life Aquatic, in which he was also cast in the role of Pelé dos Santos. 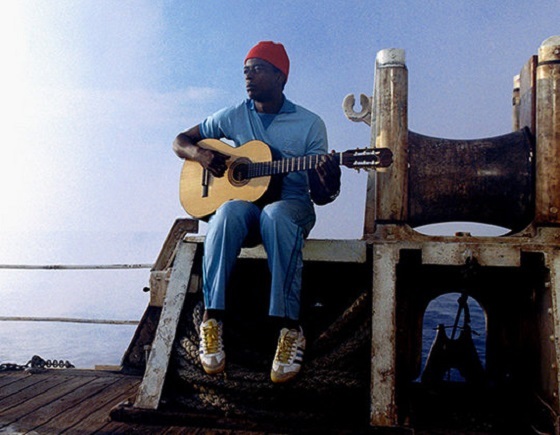 Jorge would later re-record these for the full-length The Life Aquatic Studio Sessions Featuring Seu Jorge, which arrived at the end of 2005. While the melodies were modelled similarly to Bowie's, the lyrics on Jorge's versions were not direct translations. "Had Seu Jorge not recorded my songs in Portuguese I would never have heard this new level of beauty which he has imbued them with," Bowie himself had revealed in a press statement at the time of the album's release. In the years since his Bowie-tributing release, Jorge won the Grammy for Best Brazilian Pop Contemporary Album for 2012's Músicas Para Churrascos Vol. 1 and 2013's Músicas Para Churrasco Vol. 1 Ao Vivo. Músicas Para Churrasco Vol. 2 from 2015 was also nominated for the award but lost.